Red Wheel ∕ Weiser Online Bookstore | Gentle Energy Touch: The Beginner's Guide to Hands-On Healing by Barbara E. Savin, C. Ht. Imagine being able to utilize the power of your mind for the purpose of healing with Universal Energy�just by asking. Gentle Energy Touch, a form of energy medicine pioneered by Barbara Savin, does just that by using intention to begin the healing process of an individual. In Gentle Energy Touch readers will learn some of Savin�s basic, handson techniques for assisting the body�s natural ability to heal itself. The beauty of the Gentle Energy Touch approach is that while it can produce results on its own, it also complements all medical treatments and modalities, often shortening treatment and speeding healing. It is particularly effective for pain management and has also been used successfully to treat depression and anxiety, skin problems, heart disease, even cancer, mitigating the nastiest side effects of conventional treatment and generally helping the body marshal its own resources for getting well. 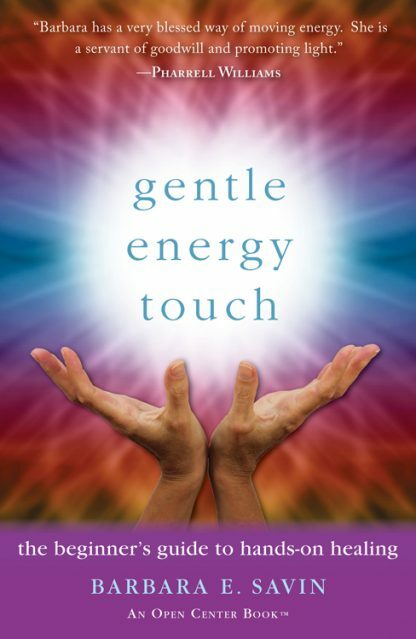 Gentle Energy Touch includes more than 50 photographs and simple explanations of the chakras and auras and how energy moves�and gets stuck�in the body, and then guides readers through an energy healing session including hands-on positions for different ailments and a closing and grounding at the end. Barbara E. Savin is an inspirational author and speaker, Gentle Energy Touch specialist, Clinical Hypnotherapist, Certified Reiki Master/Teacher, and Certified Pranic Healer. In 2007, Barbara became a consultant at California Health & Longevity Institute, located on-site at Four Seasons Hotel Westlake Village and holds the position of Clinical Hypnotherapist and Energy Healing Specialist at CHLI. Barbara provides energy healing sessions, clinical and medical hypnosis for individuals, corporations, groups, celebrities, directors, producers, and guests of R4.0 of The Ranch at Live Oak / Malibu. April of 2016, she will be teaching energy healing at the New York Open Center, New York. Visit her at www.gentleenergytouch.com.